1). Basin Type.If you are replacing an existing basin it is easiest to fit one of the same type ( not necessarily the same colour or form). Croydon Plumbers fit basins.2). Assess the Walls.Have a poke around in your bathroom . Find out more about the structure of the walls especially where the basin is to be fitted. Any doubt you can call an expert like Croydon Plumbers .3). Solid Walls.Solid walls are great for wall hung basins where the plumbing is to be mounted on the surface. They are a problem if you want to conceal pipes.4). Hollow Walls.Hollow plasterboard walls are good for hiding pipes but not good for a wall hung basin.5). Pedestal Basin.A pedestal basin is a good option in that the pedestal not only supports the weight of the basin, it also conceals untidy pipes behind it.6). Wall Hung Basins.Wall hung basins are great for small rooms where there is a shortage of floor space, as you can mount the basin so that it partially hangs over the bath. You must assess the walls first. A Croydon Plumber is qualified to fit all basin styles.7). Counter Top Basins.Counter top basins are a great idea in a large bathroom, when you want to both conceal all the pipework and have extra storage space under the basin.8). Fitting a Pedestal Basin.If you want to fit a washbasin in the shortest time and at a low cost, then a small pedestal basin is the best option. The pedestal does push the price above that of a wall hung basin of the same size. It cuts down on the amount of work that is needed to fix the basin to the wall.9). Fitting a Counter Top Basin.These are freestanding with their weight being taken by the structure of the cabinet so it can be fitted independently of the walls. Boiler controls can cause various problems. Checking your thermostat, programmer/ time switches and radiator valves can help, however don’t ever attempt to do any complex servicing or repair work on your heating system yourself and always seek the skills of professionals such as Croydon Plumbers and keep in mind that all boilers and heating systems should be serviced and checked regularly by a professional. Over time, thermostats can lose their accuracy, misreading temperature settings and turning the heat on/off at incorrectly. Be advised that while a gas boiler engineers such a Croydon Plumber can clean and recalibrate your old thermostat, it might be wise to have them install a new one. A thermostat will warm your house when you need it and turn the heat down when you don’t cutting heating bills by 10 to 20 percent. The hot water and heating are controlled by the timed/off/constant switches found on your boiler. Check that the LCD display is reading accurately. If you have a thermostatically controlled valve, then turn it up. If you have a conventional lock shield valve, then adjust the setting.If no change occurs after you’ve adjusted the settings, you have a fault with your radiator valve and will need to call a Gas Safe registered professional to drain the system and replace it and of course the work will always be guaranteed. Condensate pipes carry condensation from your boiler to your outside drain. When the weather is really cold this pipe can freeze and cause a blockage causing a shutdown. If the condensate pipe freezes your boiler’s lcd display should provide some kid of warning for you a like a light or code. Following the above advice is good but any doubts about your DIY skills should result in a call to the Professionals. To do any work on the water system in your house, you will need to empty the pipework first. You may not need may to empty the complete system, but at least the required section will need to be drained. 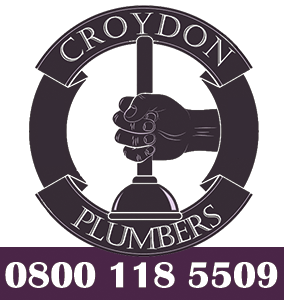 Croydon Plumbers are experienced professionals.Locate and label stopcocks and valves.So that you are familiar with the various and important valves in your home, it would be as well to identify and familiarise yourself with the location and job of all the valves and stopcocks in your house. This will allow you to rapidly isolate them if required. Draining cold water.You can isolate the taps that get their supply from the mains directly with the stopcock on the riser. You can then open some the taps to drain the excess water.Draining the tank in the loft.Indirectly supplied items are serviced by water from the cistern in the attic. The water from this may be stopped by closing the valve from the cistern to the section you are concerned with. Alternatively, supply from the cistern can be stopped totally. To do this, place a length of wood over the tank and tie the ball valve up to it in the closed position. The tank can now be emptied by opening all the cold taps supplied from it. A Croydon Plumber is trained to carry out this type of work.Switching off the rising main.The same result is achieved by turning off the rising main and opening all the cold taps. This removes the necessity to tie up the ball valve but has the downside of also cutting off supply to the direct fed parts of the system as well. During its life this might mean seeking professional advice from Croydon Plumbers for expert maintenance and repair. But remember, central heating troubles can be tricky to solve and if you ever suspect a gas leak you must immediately contact the National Gas Emergency Service immediately on 0800 111 999.Below are some Tips:1). Don’t ever cover your gas boiler or block the air vents. Make sure the outside flues aren’t blocked.2). You should operate the heating system at the very least once every 28 days, even in summer, to keep it running efficiently and clear the boiler pump of any grit that gathers when it’s not in use and provide a flow of water through your radiators to flush them through.3). Do get your boiler checked once a year by a?Gas safe registered engineer like a Croydon Plumber to ensure that it’s running smoothly and safely. This will also give you peace of mind guaranteed work and a point of contact should the problem reoccur.4). Do fit a carbon monoxide detector to warn you if there’s a leak. If a leak occurs call the National Gas Emergency Service immediately on 0800 111 999.If renting, it’s your?landlords responsibility to get all gas appliances, including the boiler, inspected every year and they must also provide you with a copy of the CP12 Gas Safety Certificate covering the points below:Gas appliances will be checked for gas tightness.If test points are available, standing and working pressure will be tested.Your Gas Safe engineer will check burner pressure and gas rate against the manufacturers data plate.Checks will be carried out for the provision of all necessary ventilation.Flue flow will be tested to make sure products of combustion are removed.All flame failure devices will be checked for satisfactory operation.Where appropriate checks will be made for physical stability, presence and effectiveness of stability brackets.Investigations for any evidence of unsafe operation will be made and reported.Without completing all of the above checks an appliance cannot be issued a gas safety certificate (CP12). 1). Cold Radiator.If the pump sounds like it is running but one or more radiator stays cold, there may be an airlock in the pump. Find the pump and identify the bleed screw. Place a bowl under the pump and open the bleed screw to allow the air out. As soon as the water appears at the screw, tighten it up and retest the system. Croydon Plumbers can do this task.2). Rotor Jammed.Sometimes the rotor in the pump will stick and although you can feel some vibration at the pump, the mechanism will not be running. Some pumps have a cover screw to undo and allow access to the pump spindle. Most times turning with a screwdriver will free the spindle.3). Pump Types.There are three types of circulating pump:Single Speed (fixed head) and Variable Speed. While a variable speed unit is slightly more expensive it is more flexible which justifies the extra cost.4). Replacement Pump.Always replace a pump with the exact same pump. (take the old one with you to compare if possible). 5). Pump Speed Adjustment.To adjust the speed of a central heating pump there is usually a small rotary switch on the pump that can make adjustments.6). Valve Replacement.Control valves are electrically driven. Before replacing always check wiring and control unit are ok first.7). Impeller.Sometimes the pump impeller will jam and fail to pump. Before anything else always check this first as any blockage can usually be removed by hand fixing the problem. If replacement is required make sure that the system is free of all debris prior to fit.8). Tools.If the pump is fitted between two large nuts you will need two large adjustable wrenches to change it. Make sure not to overtighten. A Croydon Plumber carries these tools. Aligning.The procedure of setting one part on or against another, such as a socket on a wall, with the help of a measure and spirit level. This is carried out by Croydon Plumbers .Airlock.An airlock is air that has become trapped in a pipe, stopping fluid from flowing from a tap. A possible cure is to use a length of hose and slip it over the affected tap and the kitchen cold water tap. Turn both taps on fully and the mains pressure should force out the air. Should this not work, try placing a hose over the affected tap and blow down with a bicycle or car tyre pump.Cap Nut.Is the nut part of a compression joint. In action, the cap nut squeezes the olive into the body of the fitting resulting in a good solid join. A Croydon Plumber is expert in the use of these nuts.Cesspit.A large buried tank used to collect sewage and wastewater. Cesspits are a bad option as they need to be emptied on a regular basis.Draincock.The draincock is the lowest tap in an appliance from which the water can be drained. To drain a system you simply slip A hose onto the draincock and run the other end outside into the garden. Then turn on the tap.Insulation Tape.Plastic PVC sticky back tape comes in a range of colours to match the colour coded sheathing on electrical cables and flexes. It is used to identify and insulate cores on switch circuits where the bare core runs from cable to terminal. It is also used to label pipe runs and bind up low pressure leaks.Rising Main.The cold water pipe that runs from the suppliers stopcock to feed water to the kitchen tap and cold water storage tank in the loft. This is the first valve you close in an emergency.